on ACIM GATHER / PalTalkAnnouncing a NEW Study Group on PalTalk with Regina Dawn Akers. Regina is also author of the book, “The Holy Spirit’s Interpretation of the New Testament“. If you are unable to attend The Original Edition study group but you are interested, please look for posted audios on reginadawn akers.com. Regina will begin posting after the first study group on 11/20. Choices are: Hardcover, Softcover, Pocket Edition and PDF Edition. 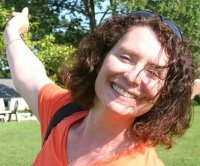 A NOTE: Carmen Cameron, one of the founding members of CIMS, will be a Guest teacher on ACIM Gather on alternate Sundays at 6pm-7pm ET. Please check the ACIM GATHER Program Guide for more information. By the way, when you register for the 2011 ACIM Conference, be sure to mention that you were referred by The Course in Miracles Society. Presently all CIMS projects are wholly supported by free will gifts of time, talent, and money. If you would like to support any of the activities of the Society in any way, please do not hesitate to ge in touch. Because of the international character of CIMS, the internet is our primary means of communicating and collaborating. Course in Miracles Society (CIMS) is an international group of Course students and teachers organized to discover, authenticate and propagate the divine teachings of A Course in Miracles. As students, we seek to increase our knowledge of Jesus’ words and to deepen our experience of his teaching. As teachers, we work to circulate the message of A Course throughout the world by our words, by our deeds and by the example of our lives. Author and presenter Linda Jean McNabb (One Again) shares on the ACIMRadio “Stream Of Stars” series. Thank you, Linda! 1 photo mARTin has created a space for all of us to SHARE in our Oneness! Come JOIN us and share your LIGHT! Welcome to ACIMRadio dedicated to the restoration of the Sonship accelerated in the celestial speed-up. Can the Course help us deal with addictions lovingly? Q. My brother is addicted to some hard drugs and his mood swings are very violent and scary to me. Can the Course help me to deal with this lovingly? A. Dear Soul, we were created to be fixated on God (love). So “addiction” was built into us in our creation (see Original Edition of ACIM, “The Eternal Fixation”). Some addictions are more self-destructive than others but they’re basically all the same: a call for the love that we have rejected (“lost”) when we turned our backs on God (love). Your brother is just calling for love, dear heart. How can you give it to him in a way that he can accept it? I don’t know. No individual human does. But the Holy Spirit DOES and He can tell you what to do to be truly helpful to your brother. You have the ability right now to free him from ALL guilt about his addiction (it is guilt that is holding it fixed in place). Lesson 78 might be of help to you. And please remember two things while you are trying to deal with this: no effort is ever wasted (even if it looks as though it might) and YOU will be blessed with a miracle with every one you let the Holy Spirit do THROUGH you. Handy, that last one, because you have addictions. too, just more socially acceptable ones or at least less obvious than your brother’s. But no guilt in that fact either, dear, we’re ALL addicts one way or another. Our healing begins when we just accept that and simply choose to start redirecting those urges toward learning to GIVE the very same thing that we ALL crave. Love. God bless you both! God bless us all. The Course in Miracles Society, publisher of The Course in Miracles, original edition, is pleased to announce the start of a new study group on PalTalk hosted by Regina Dawn Akers. 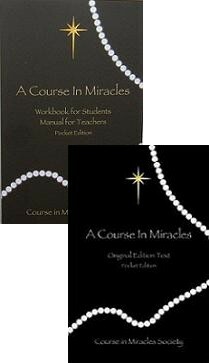 This will be a cover-to-cover study of the original edition of The Course in Miracles beginning Friday, November 20, 2009 2 PM ET. If you are unable to attend The Original Edition study group but you are interested, please look for posted audio on http://www.reginadawnakers.com. Regina will begin posting after the first study group on 11/20. You can choose between hardcover, softcover, pocket editions or PDF editions. Regina said she really enjoys her pocket editions of both the text and workbook/manual for teachers since they are easy to pack and carry when she travels. Although the Course’s verbose style forces us to read slower, no matter how slow we read, the Course’s simplicity was never intended to become lost in the translation. Despite its scholarly appearance, the main purpose was not to prolong complexity. Beyond its perfect iambic pentameter and vivid verse, the Course has always intended to provide clarity where before the ego gives only shadows. Any human being can admit how easy it is to become lost in shadows, especially when you do not know your way. Likewise, any beginning Course student can share how sifting through sentence after sentence of the Course’s profound concepts appears to bring more challenges than solutions. For this reason, I adhere to the adage “keep it simple” whenever I choose to explore the Text, Workbook or Manual for Teachers. A Course in Miracles specifically states “This is a simple Course …Complexity is of the ego, and is nothing more than the ego’s attempt to obscure the obvious.” Hence, as we determine to transfer our experience of the Course’s words into daily actions, our practice should remind us how simply one can apply a choice for Love over fear to every life situation. Now, I’ll be the first to admit that I do not always want to drop my fearful imaginings for a more loving attitude. With the world’s seeming facts and figures, it is often easier to rest with surface presentations than abandon the ego ship and sink deeper into what the eyes and ears may not perceive. All Love is simple once we seek to remove each obstacle to its awareness. Yet, my distance from peace is only measured by the depth of my claw-marks within each illusion. Basically, the only obstacle to love is our incessant argument against it. Truly, this one statement completely summarizes the Holy Spirit’s central lesson and call for practice. Would you consider it too complex to remember this one call within every life situation? Please note there is no room for thoughts such as “Why do I choose to resist,” and “Help me understand the method to stop resisting.” No, obstacles are only prolonged through such burdensome analysis. Indeed the quickest way for us to gain peace is simply to be in deed or stop trying to argue for more understanding (that is, increase the arguing) and settle our mind with choosing only an acceptance of peace. If you follow this example it is easy to see how in our longing for peace we have two options: invest in more longing or simply release for peace. Frankly, any idea seeking solutions in outer answers will always leap the thinker into increased judgment rather than the compliance to simply surrender. The Course testifies to a better way: accept the willingness to stop thinking, start surrendering and let each thought (no matter how perpetual or perverse) fade from your mind. How does one apply the act of simple surrender in the middle of a booming parade of mental meanderings? Personally, I am a huge fan of breathing. Ask any Yogi how relaxing a deep cleansing breath can be to the mind asunder. In my writing and experience of the book Simply Being: One Year with Spirit, Holy Spirit emphasizes the practice of “Breathe, Release and Rest.” Here, through yet another simple statement, we are guided to let ourselves step beyond the entrapments of the mind and cleanly let go. In this one practice, we need not analyze or thoroughly understand why we are experiencing these obstacles to Love’s awareness. By taking a time-out for Holy Spirit, we briefly close our eyes to seeking outside and go within for the Light beyond our own current vision. We breathe to bring balance to the fears in our body. We release each story of confusion or distraction from our mind. Finally, we choose to simply rest in God’s loving arms of endless support. The ego is enticed by the Course, seeing it as yet another answer to its outward based searching. Any long-time student of the Course can attest to the ego’s progress through the Course: questions met with more questions. Yet, maybe as an answer to this common bait, Jesus has cleverly disguised several eye-popping phrases throughout the Course. Not one of these clear statements can be accidentally misinterpreted. Each brings the analyzer’s mind to a screeching halt. Here we are asked to stop seeking and start doing. For instance, consider many of the five words or less sentences such as: “Love always leads to love,” “Only perfect love exists,” “The decision is very simple,” and “Complexity is of the ego.” I don’t know about you, but I’m picking up on a theme here. Perhaps, when Jesus asks us to, “Forget this world, forget this course, and come with wholly empty hands unto your God” he really means it!